While you can’t make your own luck, you can chart your own success. For those with drive, there’s better maps — C-MAP Genesis maps. To catch more and bigger fish tomorrow, subscribe to Genesis Edge today. Genesis Edge is a premium upgrade to the free marine-mapping service C-MAP Genesis (formerly known as Insight Genesis). While the free version includes downloads of community-sourced digital Social Map charts, the ability to add personally mapped areas to Social Map, and custom-color depth shading, Genesis Edge offers even more. Its key features include sonar replay, an option to keep personally mapped areas private and creation of bottom-hardness and submerged-vegetation map layers. For recreational and tournament anglers alike, those are game-changers. 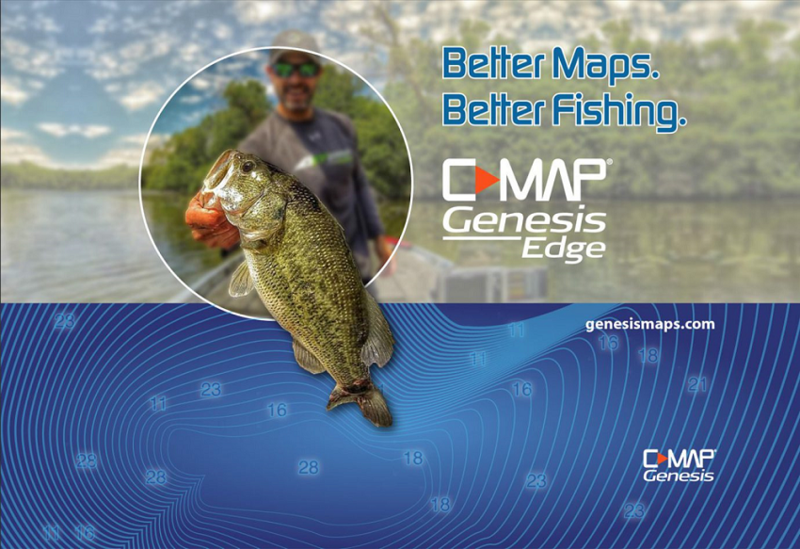 This article includes instructions for subscribing to Genesis Edge, as well as more information about how you can use Genesis Edge features to catch more and bigger fish. 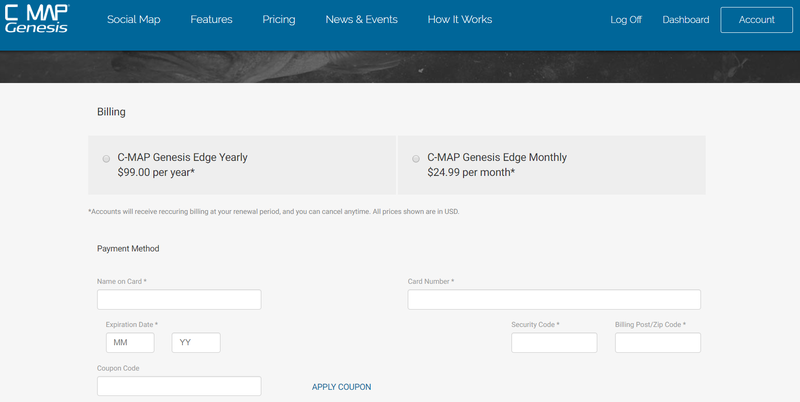 Note: The “Plans” page at www.genesismaps.com does not include a place to enter your credit card information and purchase a premium Genesis Edge subscription. To purchase an Edge subscription, you must first register for a free Genesis account, log in and then navigate to the bottom of the “Account” page in your Dashboard and click “Upgrade.” Full step-by-step directions follow. If you already have — or previously have had — a free C-MAP Genesis, Insight Genesis, or GoFree Hooked account, log in to the C-MAP Genesis dashboard with email address and password. If you know your password, proceed to Step 4. If you forgot your password, follow the steps below to create a new password. Highlight and copy your temporary password. Well, you could memorize, but who are we kidding, that’s how we got in this jam in the first, place, eh? If you have a discount coupon code, enter it in the box entry field labeled “Coupon Code” and then click the “Apply Coupon” button. Now you can create your own custom, private fishing maps with bottom-hardness and submerged vegetation layers. Fish love hard bottoms. They feed on ‘em, breed on ‘em, follow their edges like roads. With a Genesis Edge bottom-hardness map, you can easily target the most-productive, hard-bottom portions of classic spot-on-the-spot areas of offshore structure like ledges, sunken islands, saddles and more. Genesis Edge makes such areas stick out like “Fish Here!” signs on your map. It overlays onto your contour lines a color-coded representation of the size, shape and location of areas of different bottom hardness: dark orange areas show the hardest bottom; a lighter orange indicates the next-hardest bottom; tan is the next-hardest bottom; and pale yellow shows the softest-bottom areas. New Jersey bass pro Michael Iaconelli placed 6th in the 2017 Classic, having put himself in a position to win with a game-plan that included using the bottom-hardness layer of a Genesis Edge map. He caught key fish from offshore spots that anglers not using the map were driving over and past. To catch more and bigger fish, target transition edges on break-lines between harder and softer bottoms and the harder sections of points, humps, inside turns and more. It’s no secret that big fish ambush baitfish in submerged vegetation. What’s not always known however, is where the good green stuff is, and what areas within it likely hold the most fish. In most weather and water conditions, submerged vegetation is not visible to the naked eye, so you have to go searching for it. And even when you see a patch on your sonar screen, you won’t know its full size, shape or thickness. Genesis Edge’s vegetation layer, however, shows fish-holding holes in vast grass flats, depicts fish-populated points and inside-turns on deep weedlines, and more. Atop your blue-scaled contour map, it places bright-green overlays the size and shape of areas of submerged vegetation, making it as easy to see the best places to cast as when you’re throwing to visible cover like docks and laydowns. 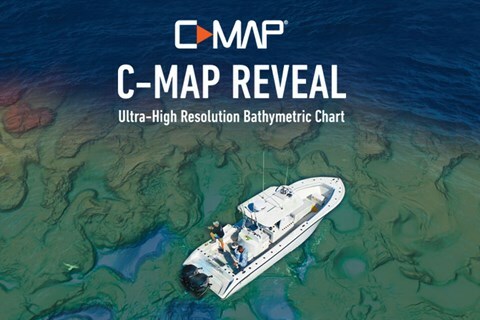 Founded in 1985, C-MAP offers the world’s largest digital database of detailed and accurate cartography of coastal and inland waters around the globe. Serving a range of worldwide markets, including recreational, commercial, business, government and military, C-MAP’s offerings range from electronic navigational charts to fleet management and vessel and voyage optimization. Committed to leading the development of digital marine services through innovation, C-MAP is charting a new course into the future. * C-MAP Genesis maps can be created with and displayed on most modern Lowrance, Simrad and B&G sonar/GPS units. Functionality with other marine-electronics manufacturers’ products is coming soon. Not sure how this c map site works. Trying to find and purchase the new Florida trophy chip that has 80 lakes. Does this chip exist for purchase ?